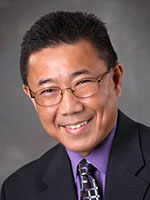 James L. Chen received his bachelor degree from Cornell and his PhD in Molecular Biology as well as his MD with Distinction in Research from SUNY at Stony Brook on Long Island. He completed his internship, residency and chief residency in Internal Medicine with Brown University at Miriam Hospital. Most recently he practiced with Aquidneck Medical Associates in Newport. Dr. Chen is Board Certified Diplomate in Internal Medicine.